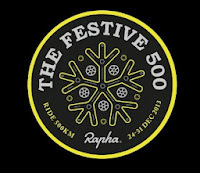 Ride 6: (30/12/2013) - "Finale of Festive Fury"
The final push in a big week of festive miles. The weather hasn't always been on our side, but it has been a great week of riding, with a huge amount of variety and a lot of laughs... bring on next year! We all know that in the perfect world you wouldn't need to supplement your diet; you would get all the nutrients from the food you consume. In reality however that is rarely possible; the amount of certain foods you would have to consume to obtain the right balance of certain nutrients is just not feasible (think intolerances and allergies). This is where supplements come in... in this post I think about three main supplements: vitamins, branch chain amino acids and protein, and why using these supplements may boost your training. Multivitamins are perhaps best viewed as an insurance policy; because with a hectic lifestyle it is sometimes hard to ensure you get all of the nutrients you need to keep functioning at your peak. Vitamin tablets such as the Maxifuel Sports Vitamins are specifically designed for athletes; providing high levels of vitamin C and zinc to support a healthy immune system, as well as calcium and vitamin D to ensure strong bone strength. Shutt VR Club Bib Shorts The 2013 Club Bib Shorts from Shutt Velo Rapide are a new incarnation for 2013, these are the lowest priced shorts in the Shutt Velo Rapide range, but they are by no means low performance. The shorts have a distinctly retro feel about them. The shiny soft Lycra reminds me of the Adidas Team Sky kit of 2011/12; a high quality fabric with good wear resistance. The mesh straps and back are close fitting and comfortable, and avoid any build up of heat that is sometimes experienced with solid Lycra bibs. The overall fit of the bibs is good; I’m 6ft and the medium size fits me well, with a decent length and stretch in the fabric. The elasticised gripper on the hem seems to work well at holding the shorts in place as well, and doesn’t deteriorate with washing (that can occur with some gel grippers).